Need some very basic wiring advise please. The pickup it is replacing has four wires (red, black, white & green). The red and white are just taped together, the black is connected to the back of the three way toggle switch and the green is soldered to the side of the three way toggle switch, along with a white wire from the other (single coil) pickup, a black wire from the output jack and a black wire from the volume pot. So, the obvious thing would be to wire the replacement pick up to the same two spots as the one currently in situ. But I am not sure which wire (white or bare) needs to be soldered where and I am also not 100% sure the current wiring is right as the centre position (i.e. both pickups on) is really quiet. i.e. unusably quiet when switching from either of the pickups individually. Oh, and it looks like previously something was soldered to the back of the volume pot (straight to the metal). Not sure if that is relevant. So, did a bit more Binging and it looks like the bare wire will be the ground and the white the hot? So solder the white to the back of the three way toggle and then the bare wire to the side of toggle (to the metal)? 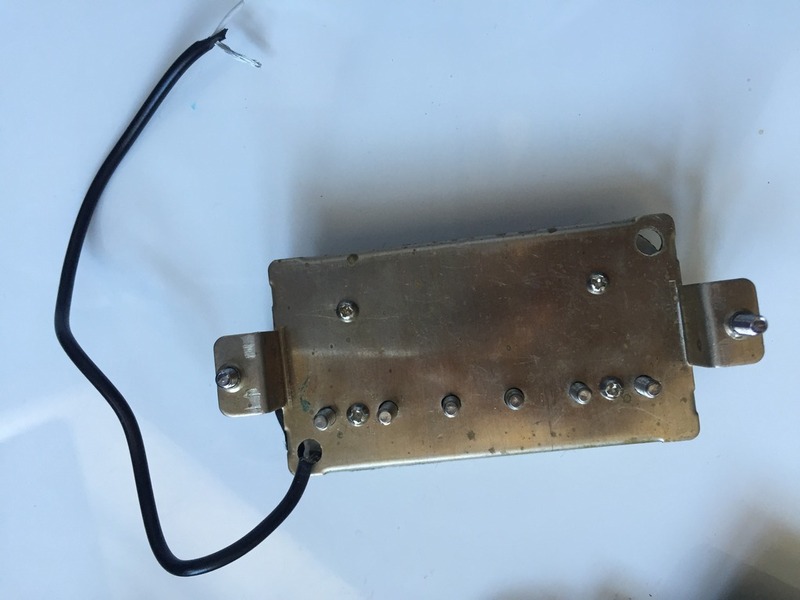 That's right, although depending on how it and the guitar's other pickup(s) are wound, this may result in being out-of-phase with the others. Thanks Doog - much appreciated. I'm not really sure the pickups were out of phase as the middle position was just really really quiet, rather than "thin". I'm going to help him ("help", ha) solder it this evening hopefully so we'll see how it goes.